FLEETWASH is dedicated to keeping our clients GREEN while getting them clean. 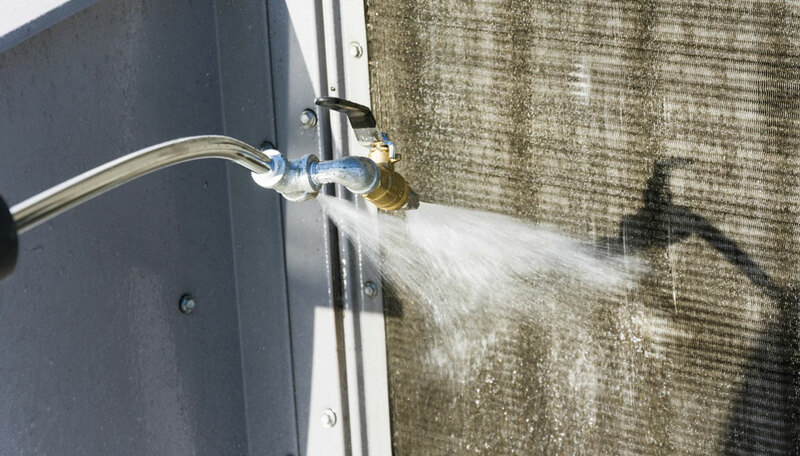 One of the most cost-effective GREEN things you can do for your facility is to have your HVAC system’s condenser and evaporator coils regularly cleaned and inspected to ensure peak efficiency. Why are Clean Coils Important? 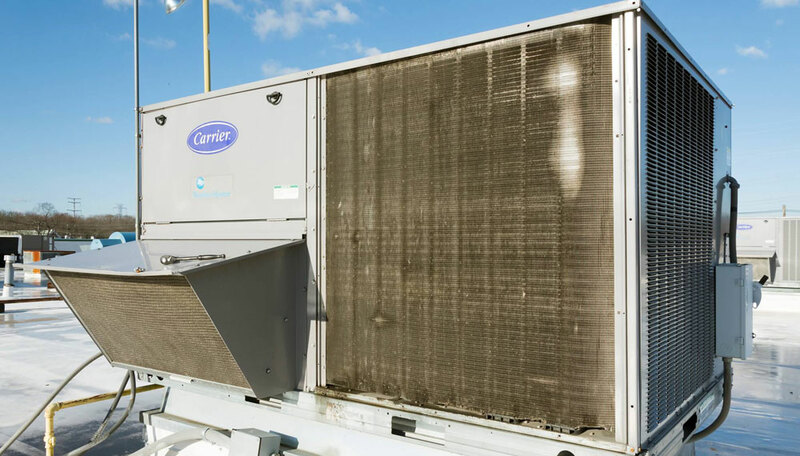 Dirty coils can cut the life expectancy of your HVAC equipment by making your units work harder than normal to do their job. When HVAC units are forced to work harder than necessary they: increase the cost of your utility bills, effect output air quality, and impact the comfort level of your facility’s occupants. The U.S. Department of Energy claims that compressor energy consumption can increase by as much as 30% due to dirty compressor coils. How does this happen? 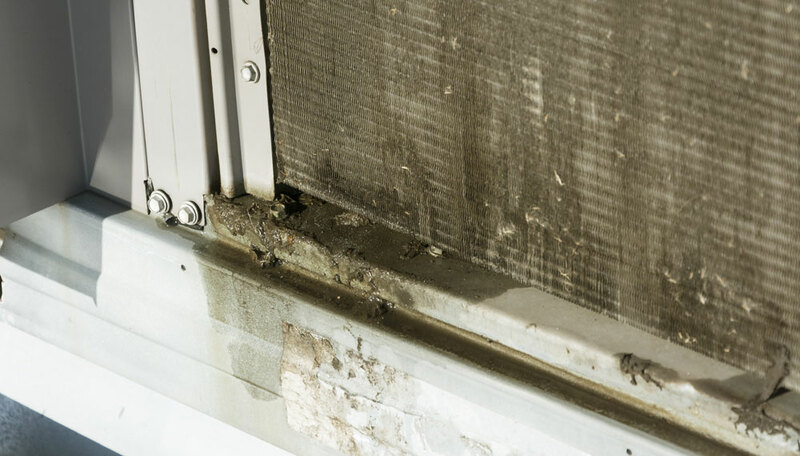 Over time, foreign particles can build up on the condensing unit coils and evaporator coils of your HVAC units. These foreign particles act as coil insulators which inhibit the free flow of air through the coils and decrease the rate of heat transfer between the coil and the air. The more efficient your HVAC system is (higher the SEER rating), the more likely it will benefit from regular cleaning to maintain peak efficiency. 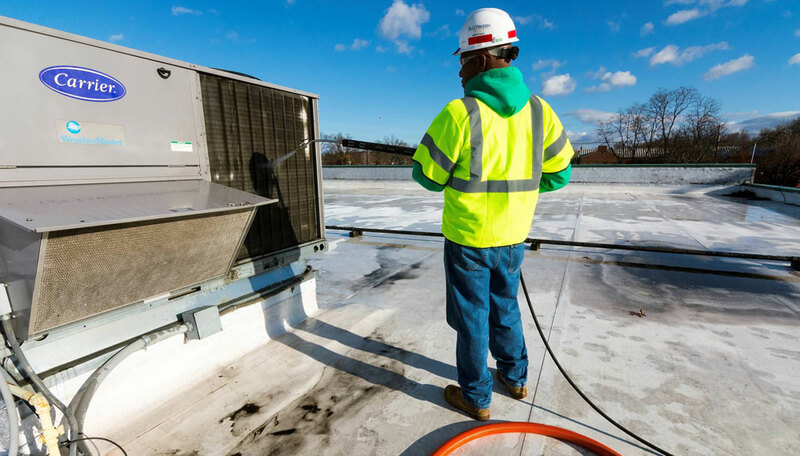 FLEETWASH has the experience, expertise, and professionalism you can count on to keep your building’s HVAC units clean and running efficiently. PLUS you can rest assured each job is completed to EPA standards and in an environmentally sustainable way – we guarantee it. 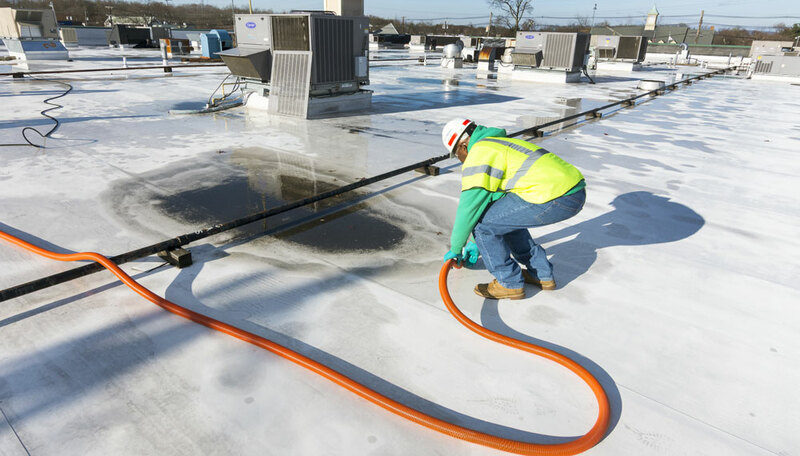 Last year alone, FLEETWASH completed over 100,000 HVAC and refrigeration units….and countless buildings, awnings, and sidewalks. FLEETWASH crew leader always speaks with the Store or Facility Manager to confirm the scheduled servicing, explain the entire cleaning process, and formerly document the number of FLEETWASH crew members and official start time for each work order. All roof alarms are turned off by Store or Facility Manager before job commences. 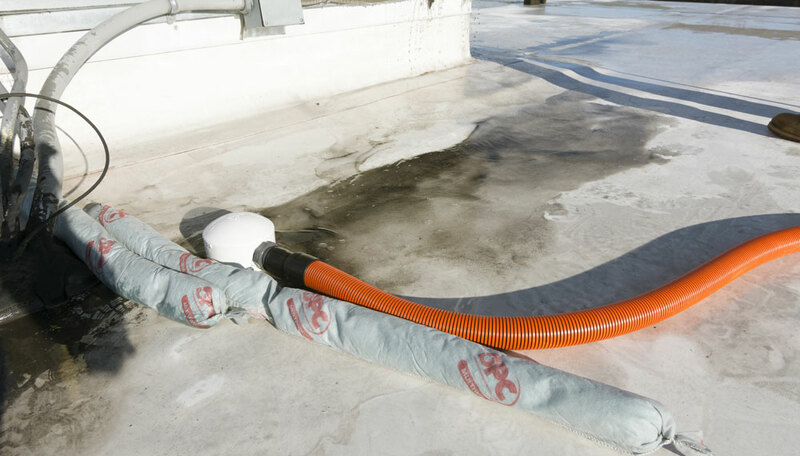 FLEETWASH will bring all material and supplies to the roof, including several lengths of pressure hose and vacuum hose; enough to reach all roof units across the store. The FLEETWASH crew will also “Lock Out” each rooftop unit to the “off” position before cleaning coil. FLEETWASH uses a diluted foaming non-acid, biodegradable, coil cleaner on site. Coil cleaner is applied with a pump sprayer. 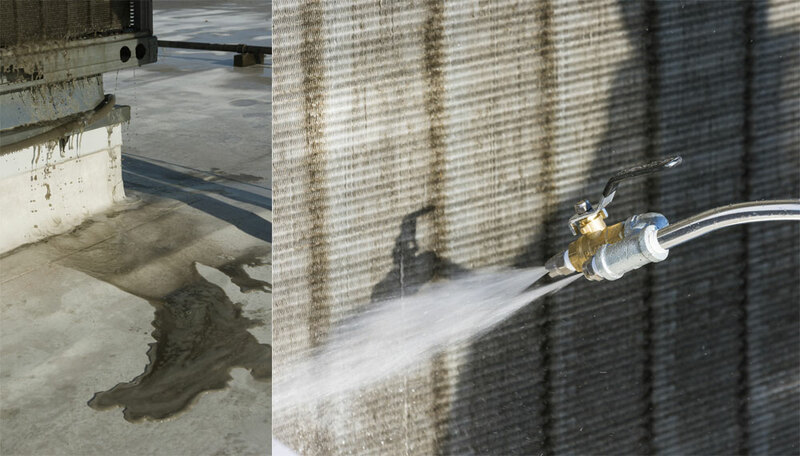 FLEETWASH crew members will use different wands and nozzles depending on the application and open or remove cover panels on units to gain access to coil area. FLEETWASH will wash away heavy dirt with water only, spraying the back and front of each coil to push clean water through the fins. FLEETWASH crew members will rinse entire coil area thoroughly until a CLEAR flow of water is coming from the coil area. FLEETWASH then replaces all access panels and any missing screws, removes the “Lock Out” on each rooftop unit, and turns the power back on. FLEETWASH crew leader then talks with the store or facility manager to report any problems or concerns with any of the rooftop units. 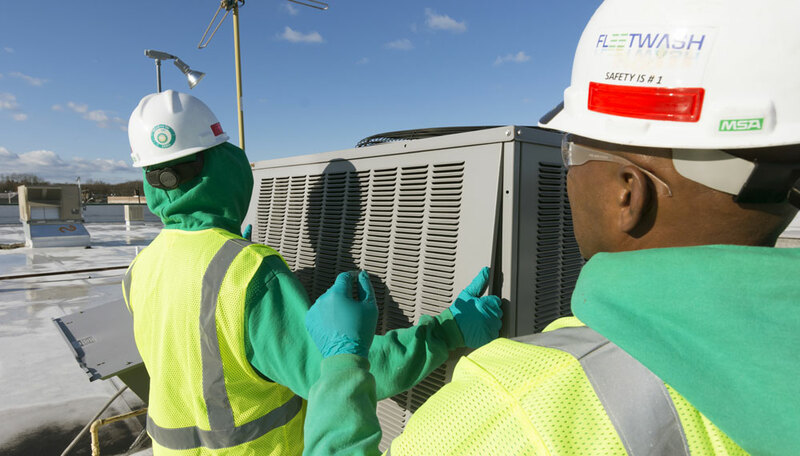 The crew leader and facility manager will inspect each HVAC thoroughly before the job is considered complete. 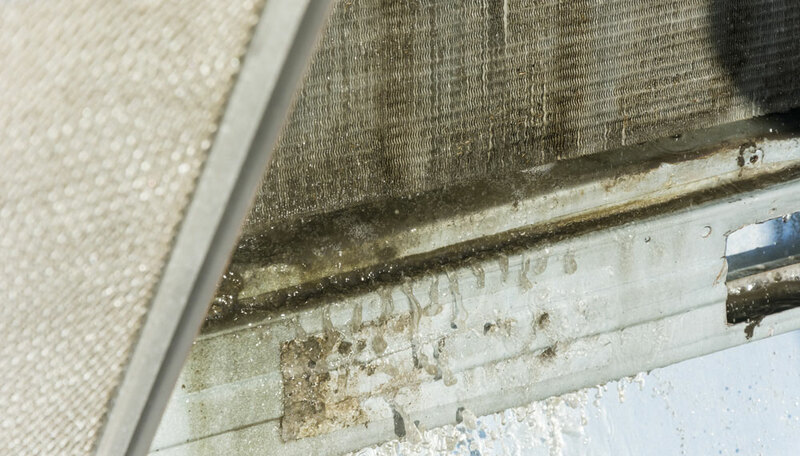 Dirty coils can lead to inefficiency, increased utility bills and damage high-efficiency HVAC units. FLEETWASH will bring all material and supplies to the roof – enough to reach all roof units across the store. 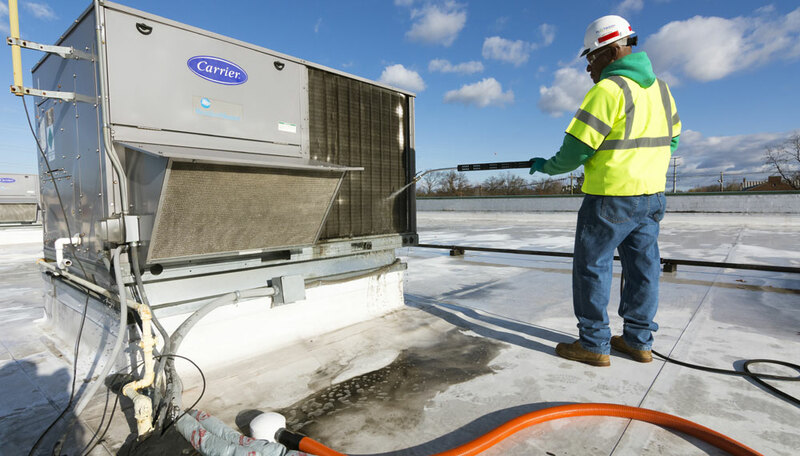 FLEETWASH crew will “Lock Out” each rooftop unit to the “off” position before cleaning coil. FLEETWASH crew removes cover panels on units to gain access to coil area and uses a diluted foaming non-acid, biodegradable coil cleaner on site. …spraying the back and front of each coil to push clean water through the fins. FLEETWASH crew members will rinse entire coil area thoroughly until a CLEAR flow of water is coming from the coil area. FLEETWASH talks with the facility manager and inspects each HVAC together before the job is considered complete. Your satisfaction is guaranteed.